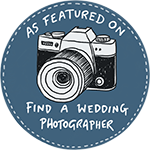 We love to photograph weddings in Sheffield. Whitley Hall is tucked away on the outskirts with the most amazing grounds and cosy interiors. I met Kathryn at home excitedly getting ready before heading off to the hotel in style in the wedding car. James was waiting patiently in the hotel with their proud page boys. The ceremony itself was lovely and having the boys as ring bearers was adorable! Afterwards the sun was shining and guests milled around the gardens whilst I attempted to get a photo of all the grandchildren together with Grandma – no mean feat!! Such a lovely wedding day, the speeches were fantastic and the evening was filled with sweet bars and plenty of dancing! We wish you both much love and happiness for the future!